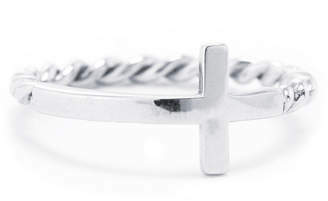 Add this one to your stackable ring collection. 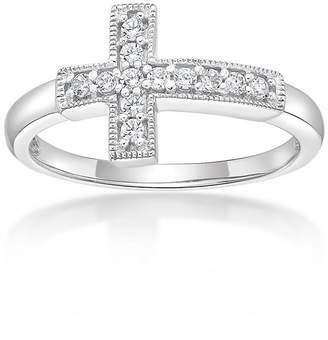 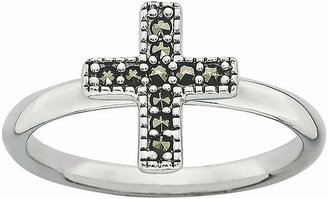 Accented with a gorgeous cross, it can be the starting point for mixing and matching with other rings to create a customized look that's all your own. 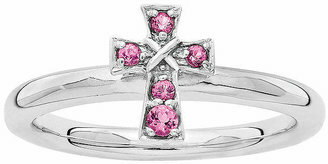 Metal: Rhodium-plated sterling silver Stones: 4mm round genuine rhodolite garnets Dimensions: 2.25mm Gemstones may be treated and may require special care. 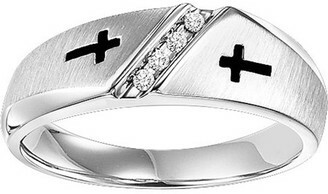 Jewelry photos are enlarged to show detail.